There are currently no premium offers available. There are currently no standard offers available. 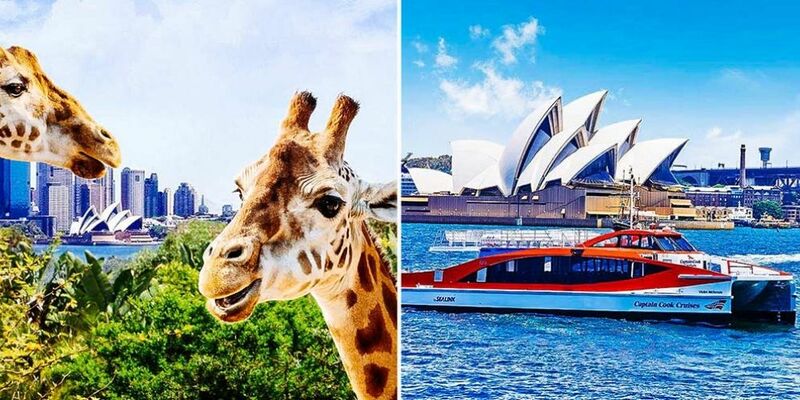 Experience Sydney in a unique way with a 2-day hop-on hop-off ferry ticket plus entry to Taronga Zoo. Jump aboard the ferry and witness the magical Sydney sights from a unique perspective such as the Sydney Harbour Bridge, the Sydney Opera House and even Luna Park. With entry to Taronga Zoo, the fun doesn't just stop at the ferry ride. With a large assortment of different species, you'll have the chance to interact with elephants, zebras, koalas and much more. And once you've had enough of exploring them by land, hop aboard the Sky Safari Cable Car included in the ticket price, and discover the different animal habitats from up above. A 2-day hop-on hop-off ferry ticket is the easiest way to see Sydney Harbour and visit Sydney's renowned Taronga Zoo. Your ferry pass includes travel between Darling Harbour, Circular Quay, Taronga Zoo, Watsons Bay, Luna Park and Manly for over 2 consecutive days. Please note: Your voucher must be exchanged for boarding passes at the Captain Cook ticket office in Circular Quay Wharf 6 or Darling Harbour Pier 26 prior to boarding. Savings based on full-priced Taronga Zoo entry and 2-day Hop-on-Hop-off tickets.